4th February 2016. 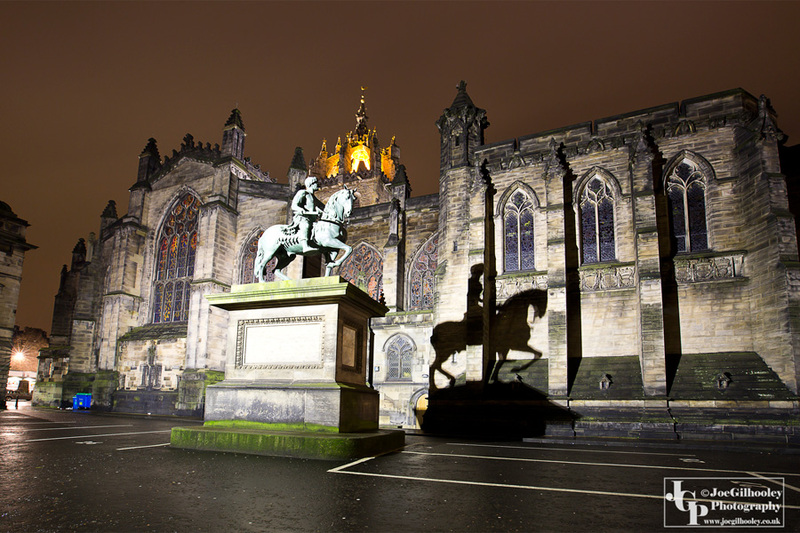 We are spoiled with wonderful photography locations in Edinburgh. Especially at night. 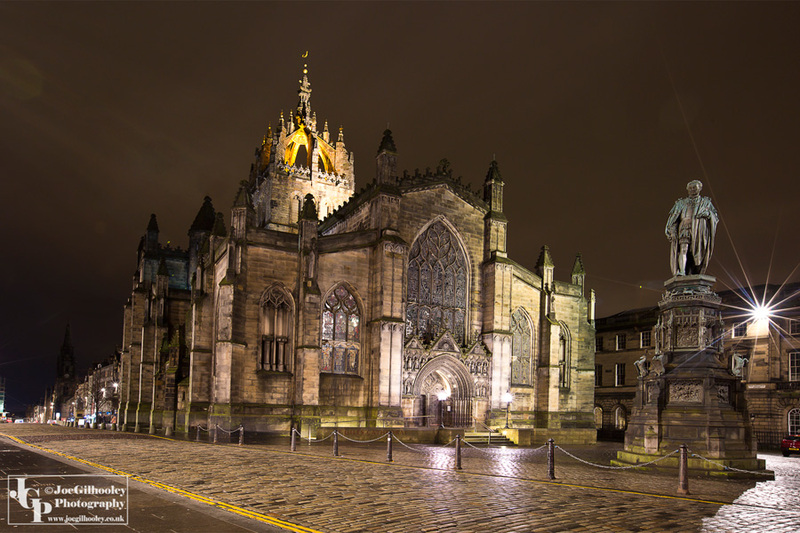 I just love photographing St Giles Cathedral on The Royal Mile. Here are a three images I captured before rain came on. the earlier shower helped give a glow to the street cobble stones.